The story of a boy who walks the line between imagination and reality, and the day he realizes he may not be able to do so forever. 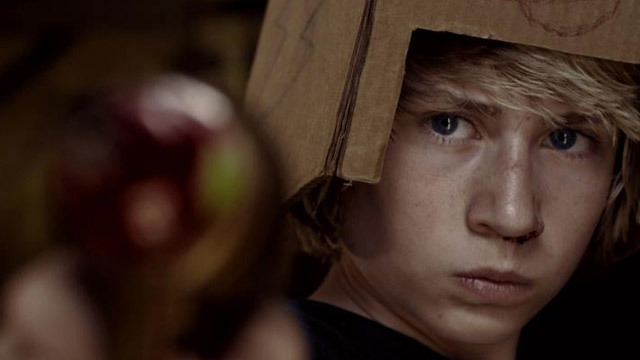 Whereas so many coming of age tales are about clumsy kids dealing with matters of the heart (last week’s featured short She’s a Fox is a fitting example), Nicholas Santos’s Worlds We Created takes a decidedly more solemn approach to this particular sub-genre. Eschewed are the chatty, fumbling conventions of films of a similar ilk. This one is war (both literally and figuratively). Even though Worlds is a period piece, the setup is timeless—3 young boys set out to play an epic game of war. It perfectly encapsulates a glorious age—you know—where one’s status is dependent upon the size of one’s toy weapon. In the case of this film, it’s all fun and games until tragedy strikes, and then, each kid is forced to confront the reality that somehow snuck its way into their imagined worlds. A film like this could only exist as a short, and perhaps that’s why I have such an affection for it. It’s an atmospheric slice of life–a perfectly brief telling of misadventure, where mistakes cannot be blamed upon anyone—not really—but, yet, they are mistakes nonetheless. Part of growing up is discovering that bad things happen regardless of abstract constructions such as morality. To use a trite phrase, bad things happen to good people. Santos’s film is a nearly wordless examination of that basic idea—ethereal and poetic as it explores a time where youthful fantasy and adult reality collide. It helps that the film looks and sounds so damn polished, from strong cinematography by Kyle Kelley to excellent sound design work (there is so much auditory detail throughout, it helps to wear headphones to get the full effect). Really, it’s little surprise the film played at 25 festivals, snagging up a few best of awards along the way. The collective behind the film—BullMoose Pictures—is responsible for a slew of compelling short visual content. Whereas Worlds is their only current film narratively centric enough to feature on this humble site, I encourage you to check out their other work from the atmospheric horror of Mutt to the zany shenanigans of Ice Cream to the hilarious genre destruction of Like A F%@k!ng punk. Yup, there is a lot of filmmaking on display with this group of creatives. Keep an eye on ’em.